Today I almost feel like I might be starting to get better. Which is nice. I don’t want to spend all of my school holidays sick. Got too many things I want to do! Dinner tonight is continuing on my theme of simple meals cos I don’t really feel like cooking/eating. 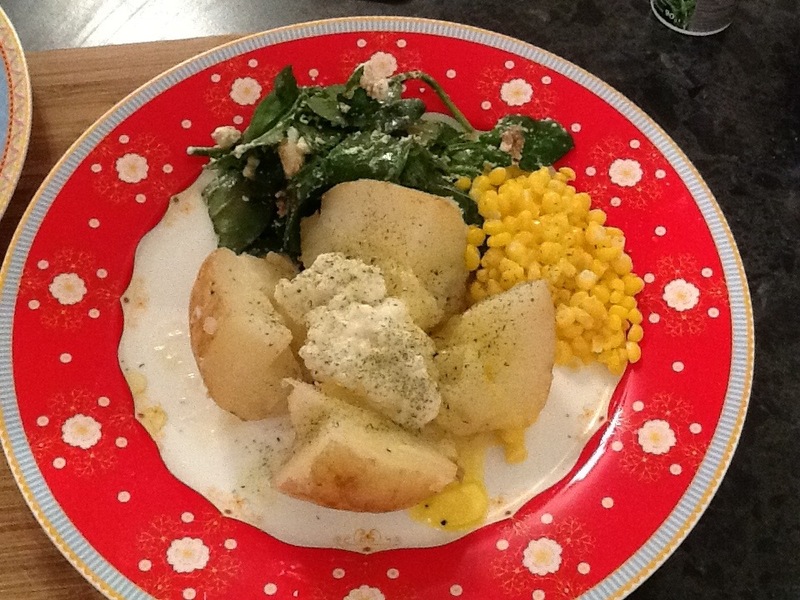 Baked potatoes with cottage cheese, a spinach & feta salad and some corn.